Ideal for taffrail or lifeline nets, this knotted netting will be cheaper than the braided netting. Very resistant it is perfectly adapted to use in marine conditions. Being less comfortable than the braided nettings it is more suitable for vertical use. - 50mm knotted netting. This netting is wide enough to let light in. The solid knotted netting is easily recovered in the case of a snag. 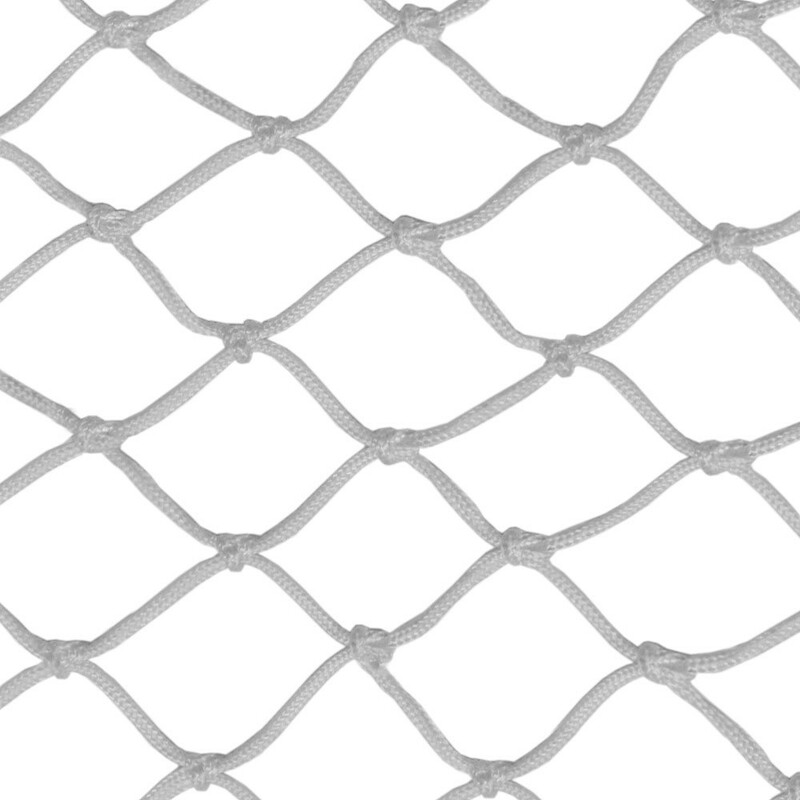 - Polyamide treated against UV exposure: This net has been treated with a high-performance UV protection. It will withstand prolonged sun exposure and conserve its resistance during your cruises and outings at sea. - Available in white. This net is only available in white. A bolt rope is placed around the edge of the netting for an aesthetic finish while preserving maximum solidity. - Made to measure. 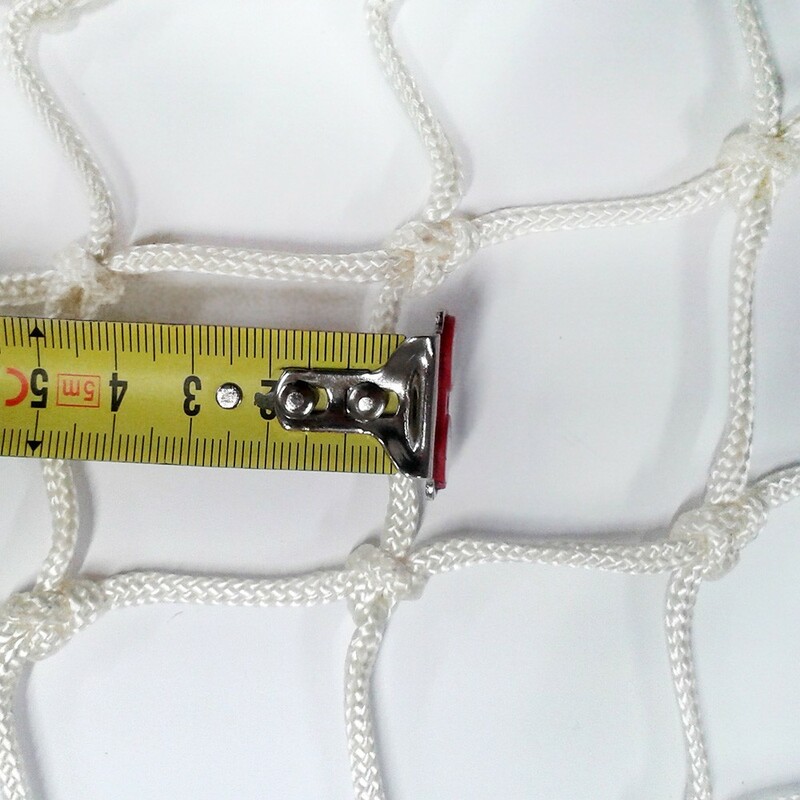 Your netting will be made to measure, all you need to do is send us your measurements or your catamaran plans. We will do the rest! Your net will be made within 3 to 4 weeks of your order. We advise you to leave the trampoline in water for 24 hours before installing it to your catamaran.